If you are a student studying arts management you should become familiar with The Association of Arts Administration Educators (AAAE). AAAE is an international organization incorporated as a nonprofit institution whose mission is to represent college and university graduate and undergraduate programs in arts administration, encompassing training in the management of visual, performing, literary, media, cultural and arts service organizations. Founded in 1975, the AAAE was created to provide a forum for communication among its members and advocate formal training and high standards of education for arts administrators. The Association, moreover, encourages its members to pursue, publish, present and disseminate research in arts management and administration to strengthen the understanding of arts management issues in the academic and professional fields. 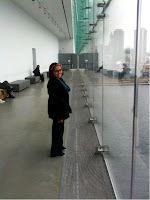 Leslie and I ventured over to Boston for their 2011 conference hosted by the Arts Administration Graduate Program at Boston University (see picture of me above overlooking Boston). Overall, we felt it was completely invaluable for us to be present. The conference is primarily geared towards the educators of these university programs, but the conversation spanned a broad range of issues in arts management that clearly benefitted from having students and to a greater extent the “employer” in the room. There was much talk about what future employers would want. Being an “employer” we had the opportunity to chime in. I think people were fascinated that 1. We were there at all; and 2. That we are having parallel conversations about key skills and insights we are looking for in future employees. • Leadership Competencies: Most often employers are looking for key leadership skills when they hire, but how do these get taught at the university level? What skills are employers really looking for? How can universities and employers work together to develop these in future leaders? • National Scope: We had originally thought of our Theatre Management Internship program being only open to local university partners, but after meeting with many other universities there is a definite interest for students nationally to be able to participate. Can we design a program that can encompass a national pool of students? Or is this an opportunity for a national organization, such as TCG, to create a national program? We had some fantastic conversations that have helped to evolve our thinking and want to thank some of the conference attendees for taking time to share with us their insights: Laura Zucker and Diana Luna from Claremont Graduate University, David Edelman from Shenandoah University, Dee Boyle from University of Massachusetts Amherst Extension Services, and Antonio Cuyler from Purchase College. It was so great to be there so big thanks to Barbara Harkins, the Administrative Director of AAAE, for talking with me and giving us the opportunity to be in the room. Dad's Garage TV is live! Things are very exciting around Dad's Garage these days. Our horror musical Scarlett's Web is doing so well that we've extended it for two weeks. We've launched 3 videos in the last month on our new YouTube channel as a part of Dad's Garage TV. If you're not faint of heart, you might wanna check them out here! 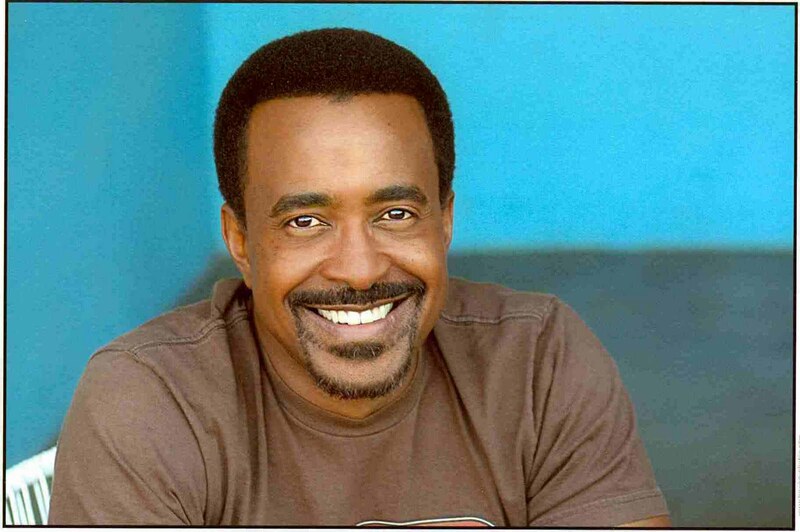 And this weekend we're hosting Saturday Night Live alumni Tim Meadows at our theatre where we will work with him to create and perform some fun nights of live comedy. The whole idea with Dad's Garage TV is that all ships will rise, which is to say we'll see an increase in ticket sales, class registration, corporate booking, etc. And while it's certainly too early to say how effective our efforts will be, it is heartening to see things generally buzzing with a positive momentum. 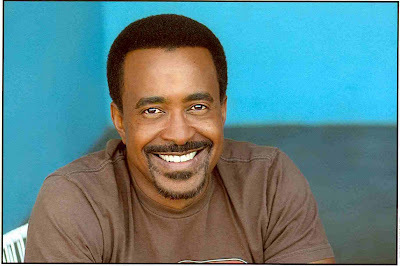 The celebrity guest angle is connected because one of the goals of the theatre right now is to generate more awareness about our work on a national level, and we're hoping that amazing guest artists like Tim will help us accomplish that. And most unexpectedly: our channel has only been live for a month and we've already received two cold call requests for corporate video work. And although this wasn't an intended outcome, it's becoming clear that it could be a great new revenue stream for the organization as well as the artists. But really, things are just whirling around right now, and the real test of the effectiveness of this project will be when the initial excitement dies down and it has to stand on its own two digital feet. Thanks for reading, whoever you are! Sitting down for breakfast with Leslie Tamaribuchi, Associate Dean of School of Theatre at California Institute of the Arts (CalArts) opened us up to a non-traditional approach of arts management. 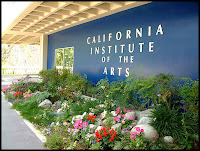 CalArts has three management tracks in their program: Producing, Stage Management, and Production Management. The two most closely aligned with some of the other programs we are exploring would be the producing and production management strands. Each program has specific goals, but essentially they focus on the basics of management including budgeting, marketing, public relations, fundraising, and analyzing a script critically. Students work on many hands-on projects throughout their time at CalArts in order to provide them a sampling of the type of work they would potentially be doing out in their careers. CalArts considers project management experience vital to their management students. CalArts believes in giving students the right general skills and tools, but also wants students to be able to develop their own specific focus. Each student in their fifth semester has a required internship. Often CalArts students are placed in for-profit settings. They have worked with a wide range of organizations such as amusements parks, in film or television. Leslie posed very valid questions for us to consider along our discovery journey: The theatre world is very expansive. Could our program be bigger by incorporating different businesses or by partnering with different types of institutions? •How do we not set up barriers but rather support a fluid professional exchange between commercial businesses and non-profits? Why is there a commercial and non-profit divide? •How do we change the perspective/image of our field? How can we broaden the discussion on where theatre management skills can be applied?